I’m a singer, actress, voice over artist, sketch-writer and Expressive Arts Coach. Here are few clips of my work. Please in-joy! The Jubilee Players were proud to present The Curious Savage, a heartwarming comedy written by John Patrick that played on May 13,14,15, 2010. 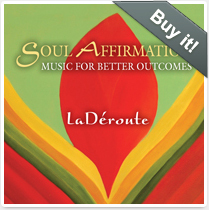 Here’s a song (me singing) from our Soul Affirmation – Music for Better Outcomes CD. A comedic sketch a la SNL featuring Annie Rasheed the host of the Real Estate Scene and her guest Penny Pincher, played by Amy LaDeroute. They discuss safety practices in the real estate business.